Politician Donald Trump, now leading in the Republican primaries, is strongly anti-immigrant. But Businessman Trump wants more high-skill visas and hires foreign workers in his Florida Mar-a-Lago resort. Which one is right? Will the real Donald please stand up? And let’s hope that it’s not Politician Trump. Economic growth and employment in the United States could be improved by bringing in workers from abroad because employment is not a zero-sum game. Neither the economy nor jobs are a fixed pie to be divided, with more for some resulting in less for others. Rather, employment is a dynamic cycle always poised for growth. 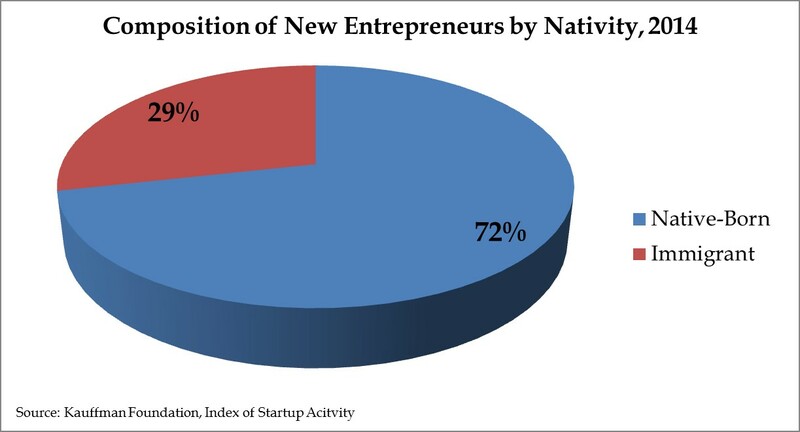 Greater immigration would allow the U.S. economy to operate more efficiently, creating more jobs for native-born Americans. Immigrants tend to have different skills from the native-born population that complement the skills of the U.S. labor force and have only a small effect on wages, concludes University of California at Davis professor Giovanni Peri. Immigrants make the economy more efficient by reducing bottlenecks caused by labor shortages, both in high-skill and low-skill areas. Those skills and job preferences complement rather than substitute for native-born workers, too, making U.S. workers more productive and attracting capital that takes advantage of new opportunities for growth. Although immigrants will be substitutes for some primarily low-skilled workers, many of whom are also immigrants, the negative effect on such workers is much smaller than the positive effect for everyone else. The economy as a whole gains, with substantially more winners than losers, even in the short term. In our society, this makes it possible for the winners to compensate those who lose from immigration and still come out ahead. In 2014, 42 percent of students who got PhDs in physics and 37 percent who got PhDs in chemistry were foreign non-resident visa holders, according to National Science Foundation data. The United States would be better off if these students could stay here and add to the wealth of the country, as Businessman Trump has pointed out, rather than being sent home. Previous research by Tel Aviv University professor Neil Gandal, University of Michigan professor Gordon Hanson, and Dartmouth University professor Matthew Slaughter has noted that the influx of Russian immigration to Israel did not lower wages. Nor did University of California (Berkeley) professor David Card find that the Mariel boatlift affected wages in Miami. As Businessman Trump knows, America’s goal should be an immigration policy that fosters economic growth. We should be giving visas to those skilled and unskilled workers who can contribute to the U.S. economy. Politician Trump, it’s already time to retire. This commentary was originally published on Economics 21, a website of the Manhattan Institute.